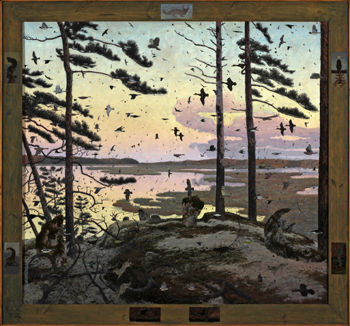 An example of Tom Uttech's works. Born into hip-hop culture in the late 1970s and grounded in Abraham’s artistic upbringing in classical cello, piano, and visual arts, Kyle Abraham/Abraham.In.Motion’s goal is to delve into identity in relation to personal histories. The work is interdisciplinary, with dance at its helm. Game designer Jane McGonigal is harnessing the power of Internet games in new ways to help solve some of the biggest challenges facing our world. Based on her book Reality Is Broken: Why Games Make us Better and How They Can Change the World, her talk features visuals about game theory. Ahmed Benchemsi founded two publications in Morocco that analyze political issues and advocate for democracy and secularism. He ponders why the activists who sparked the Arab Spring backed off after regime change, among other topics. The William J. Cooper Foundation provides a varied program of lectures, performances, and exhibitions that enrich the academic life of the College. 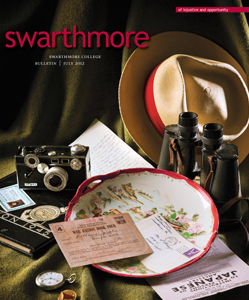 For more information, go to www.swarthmore.edu/Admin/cooper.